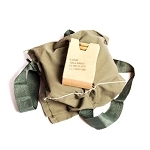 For a limited time, 40mm ammo cans are back in stock! 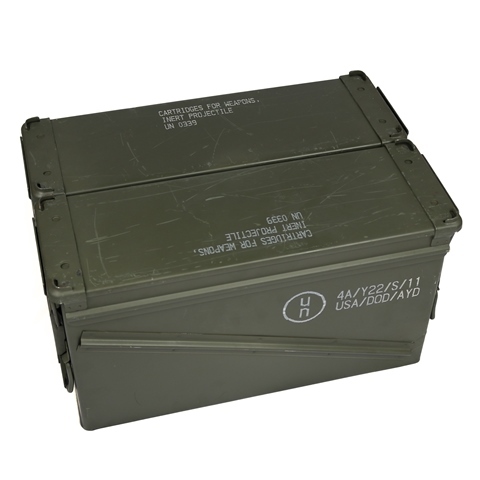 We made a special buy on a lot of surplus, Made in USA, PA-120 40mm ammo cans and have a limited stock of this popular size. 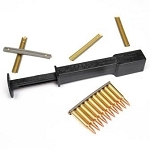 The PA-120 ammo can is a large ammo box featuring heavy duty latches on both sides of the ammo can with exterior side bracing to increase structural rigidity. The removable lids have thick, rubber seals that are in excellent condition to ensure waterproof storage, with raised lips on the corners for stable stacking. This particular lot of 40mm surplus ammo boxes is labeled for "40mm practice cartridges," and may have some exterior abrasions and scratches from transport and handling. These ammo cans are not "de-miled" in any way and do not have the lot numbers spray painted over like government auction ammunition cans. 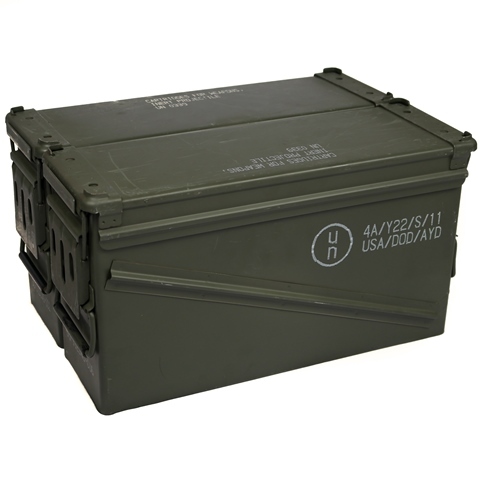 The large size of the PA-120 40mm ammo can is great for general purpose storage and shop organization. 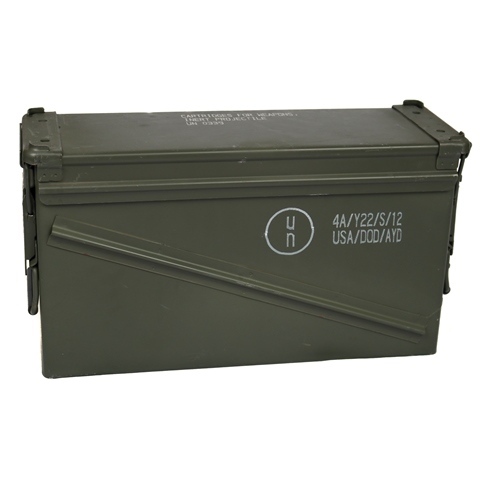 These ammo cans are also handy as a dry storage solution for trailers, atvs and off-road vehicles. 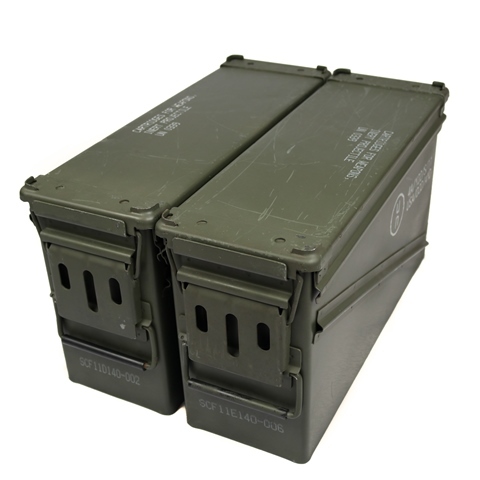 Made in USA, mil-spec ammo cans from Cleanammocans.com are a low cost alternative to expensive, commercially produced waterproof storage containers and are higher quality than cheap imported versions! Outside Dimension: 18-1/2" x 6-1/8" x 10"
Inside Dimension: 17-1/4" x 5-1/2" x 9-1/2"
Not as big as had hoped, but good quality. Seals are good. Latches down tight. Good product. These 40MM grenade cans rock! I wasn't sure what i was going to get when I purchased these ammo cans as I'd never had a 40MM can before. Turns out it was everything I'd wanted in terms of storage space! I easily cleaned out 2 Fat 50s of stripper clipped 5.56 and one 420 round can on stripper clips. Clean Ammo Cans live up to their name. These were in perfect condition. They had musty/gun oil smell, and that's not a deal breaker, it's just part of the deal when you're buying used ammo cans. I think maybe 1 of the 2 cans I ordered had a small speck of rust. Verdict: I would buy more of these in a heartbeat. And I am going to buy more of these. They're versatile and so much better than the Fat 50's. These cans in my opinion were brand new. Description says once used and They sure was. No dents, no rust, seals were perfect. I will be only ordering from this site in the future.